Insulin is a hormone made by the beta cells in the pancreas and used by the body so that glucose can enter the cells for energy. With Type 1 diabetes, the beta cells have been destroyed and are no longer active therefore patients with Type 1 diabetes use insulin injections. These insulin injections are used in place of the body’s naturally produced insulin. With Type 2 diabetes, the pancreas is usually producing insulin however the body has developed a level of insulin resistance. This usually means that the insulin produced is not enough to keep the blood sugar levels balanced. Often a change in diet, an increase in exercise and oral medications are used first. When that is no longer effective, a person with Type 2 often requires injected insulin. Insulin itself cannot be taken as a pill because it would be broken down during the digestive process. This digestion would prevent the insulin from arriving to the cells in your body in a state that will allow it to assist in turning glucose to energy. This is the reason insulin must be taken by needle injection into your blood stream under the fatty layer of the skin. There are currently 20 different types of insulin sold in the US. Many factors, such as the species it was extracted from, injection site, and exercise level affect the onset, peak and duration of insulin. Generally speaking, each type of insulin has its own diffusion attributes. Onset – How soon it starts working. Peak time – When it works the hardest. Duration – How long it lasts in your body. Indicated in the chart and descriptions below are generalizations of several different insulin. Every individual body may process and use the insulin differently. Always consult your physician before administering any medications. is fast acting and lasts a short time in the body. It is sometimes used before meals to control the post-meal rise in blood sugar, and to lower blood sugar quickly when an immediate correction is needed. You must consult your physician before using any type of insulin. has a short duration, but twice as long as Regular insulin. It is sometimes used to control post-meal rises in blood sugar and may be combined with Lente insulin. You must consult your physician before using any type of insulin. contains added protamine for an intermediate-acting effect. NPH insulin provides a basal amount of insulin. Two injections a day are usually prescribed. You must consult your physician before using any type of insulin. contains added zinc, which gives it an intermediate-acting effect similar to NPH. Lente insulin also provides a basal amount of insulin. Two injections a day are usually prescribed. You must consult your physician before using any type of insulin. contains a lot of added zinc to give it the longest-acting effect. Note that Humulin Ultralente has a shorter peak and duration than beef Ultralente. Ultralente insulin provides the steadiest basal amount of insulin. One injection a day is used in combination with Regular insulin before meals. You must consult your physician before using any type of insulin. Humalog is a new man-made insulin that is very similar to naturally occurring human insulin. It has a more rapid onset and a shorter duration of action than human regular insulin. It is meant to be taken within 15 minutes of eating a meal and in combination with longer-acting insulin. The Diabetes Monitor has made additional information about Insulin Lispro available online. The University of Massachusetts Diabetes Clinics have found this new insulin to be helpful for many persons who need to take a short-acting insulin before meals but who have difficulty with meal schedules or with after-meal insulin reactions. You must consult your physician before using any type of insulin. is a mix of 70% NPH and 30% Regular insulin. Two injections a day are usually recommended. You must consult your physician before using any type of insulin. Insulin will keep for 1 month at room temperature if kept cooler than 86 degrees and out of direct sunlight or heat. Unopened bottles of insulin should be stored in a refrigerator; but do not freeze insulin. 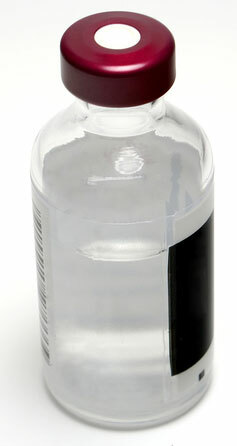 Syringes may be pre-filled and stored in a refrigerator for up to 3 weeks. Be sure to roll the syringes before use to mix the insulin. **All of the information above is strictly for referral and educational purposes only. All people with diabetes should consult their physician before using any medications to treat and manage their diabetes.